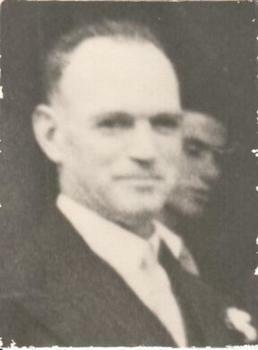 A small black and white photograph of a smiling man in a suit. This is an image of William henry Sullivan who was the councillor for the West Riding in the Shire of Bulla. Councillor Sullivan owned a farm on Settlement Road in Sunbury.